I'm in the process of putting an 8.8" in my 85 GT. I've read some information in the Mustang Performance Handbook 2 about drilling new mounting holes in the lower brackets for the lower control arms to help the anti-squat. Since I'm in the position to do this, was thinking about doing this. I've got the maximum motorsports lower control arms on order. Any pros or cons to doing this modification? Its shown on page 69. Thanks! 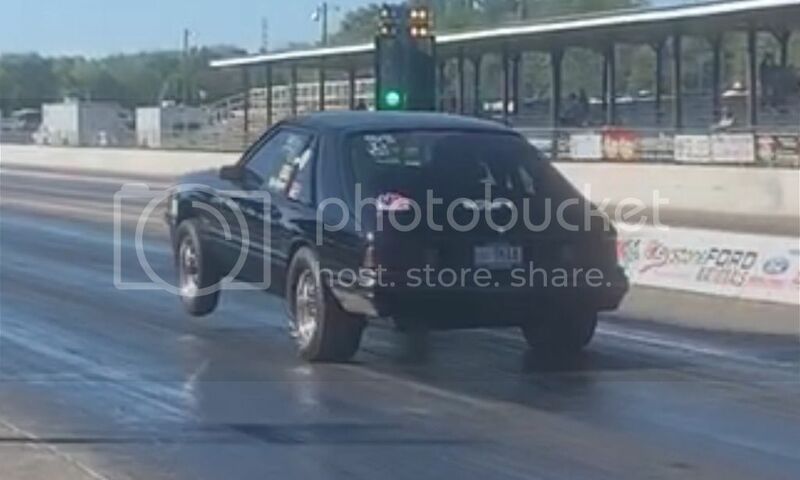 I am not much of a drag racer, so I may be incorrect since I didn't read much of the section in the Mathis Handbook related to drag racing, but I thought you had to cut the stock control arm mount and weld a section of metal in between the two sections. Again I might be wrong. Personally the MM lower control arms are much better than anything that was readily available back when Mathis was testing and writing his book. There is some good stuff in there and I too have both of his books, but today there are so many suspension parts and pieces available, that much of what the book recommends is in some ways "old tech" or may not as effective or needed today. I would try the new control arms out and see what you think before making any major modifications. If I am wrong about the welding in of extra metal, then sure why not drill a second set of holes if you think it will improve your performance. Good Luck! The most used approach to adding anti squat today is to mostly address it with the upper arms. There are some weld on / bolt on instant center brackets out there for the lower rear end housing, but I always view the as a way to get the lower level. By changing angles on the lower you can indeed affect instant center and anti squat, but it's always been an issue for me. Much easier for me to manage with the lower arm level (by ride height) and work with the top arms. I actually have shorter than desired springs and have a series of 1/4" spacers I put under the springs to make the arm level, and get a ride height that works. Always love to see Four Eyed foxes hangin those hoops coming out of the hole. You can tell how well the setup works looking at how far the nose is up and what the 60’ times are. the pictures shared looked cool for sure! If the car is functioning as more than a straight line performance / drag car another point of discussion is torque arm based upper setups. The further forward they go the more they tend to help with weight transfer. The other advantage is greatly reduced brake dive. 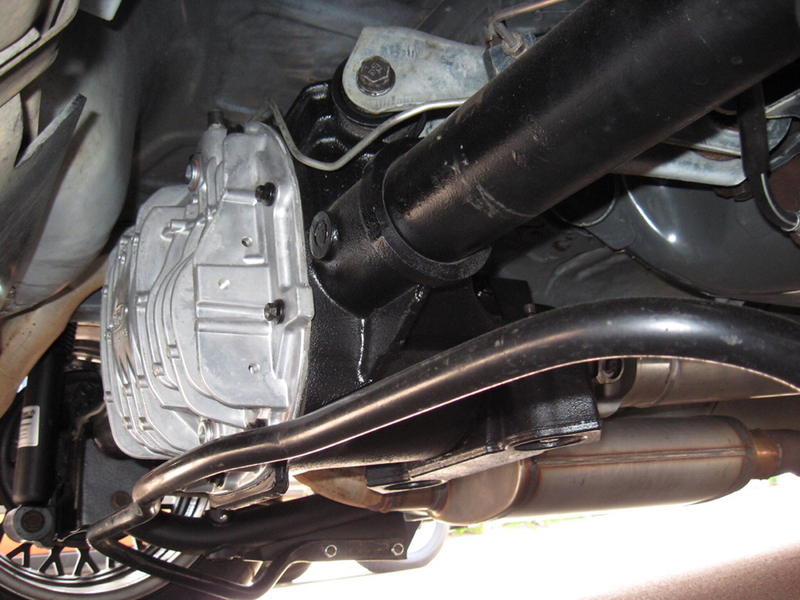 There are aftermarket weld in torque boxes available that let you pick lower control arm attachment points too. Easy to get things with pinion angle complicated pretty quickly. For me, I plan to see how my 85 build does with MM lowers and uppers and go from there. This is just a weekend cruiser, but obviously I'm trying to make it more fun. 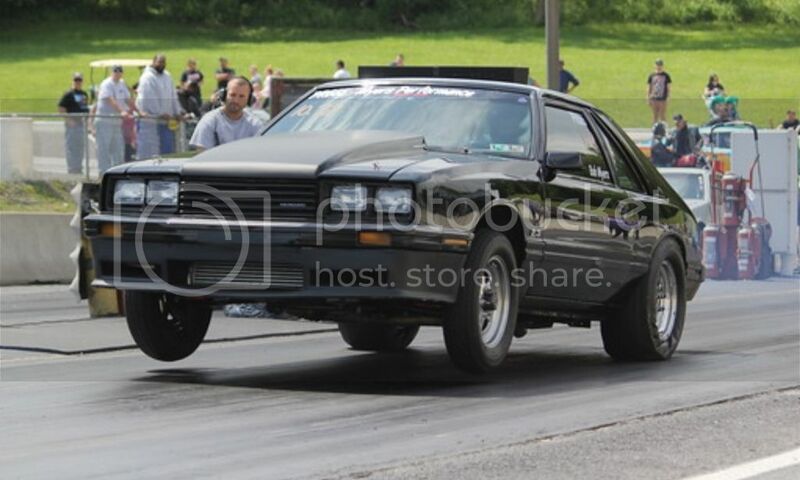 As cool as pulling the front tires looks, it's not in the cards for mine. Mainly stock, but converting to duals and a 3.55 gear. I was reading the book, trying to get some more ideas and saw this as a relatively easy modification. He does want the factory holes welded back up, otherwise I'd leave the originals there just in case. I guess for now, I'll leave it alone and see how it does this summer. It's always good to bounce these ideas off the guys that have done more to these than I have. Thanks! I have that book too, and what I took away from it - as far as filling the holes - was making sneaky changes that were nearly undetectable, yet effective. This mostly applied to racing in a class that strictly followed using OEM suspension. Moving and filling holes was a way around that requirement. That was my intrepretation anyways. I have been wrong before. Good luck with that '85 neighbor! The idea of lowering the hole in the lower arm bracket is to give you a better angle of the lower arm to get it more in line with the center of gravity or the center of the car. This does two things. It gets rid of nose dive when you brake and it does the opposite when accelerating off the line hard. It will lift the car by it's center point and not cause the nose to wheel stand. All of that wheel stand takes away from the forward movement of the car off the line and slows down the cars reaction of going forward. Increase in 60 foot times is the result. Think South Side Lift bars. Well, had some time this afternoon, I figured if I left the original holes, I can always go back to stock....so I drilled the holes and added plates to the outside just to give some extra insurance as there's not much material left in between the holes. Here's a picture before I painted the rear end. Assuming stock spring position, isn't this just going to lower the back end? I suppose you could combine this mod with some spring shims to get back to your previous ride height to achieve increased anti-squat. I was wondering the same thing, but there's a wealth of information in the book. With the spring on the lower arm, it will probably lower the car 3/8" - 1/2". I did replace my springs with the CC835 "4 cylinder springs", so that should restore my ride height, as it squatted before. On a somewhat interesting side note, I put my Ford Motorsports cover on the rear, it's real close to the spare tire well. I'm assuming as the axle moves, the top will pull in towards the front of the car. It's tough to get a decent picture under the car. That gear cover was not designed to be installed on this chassis. I know that with a Torque Arm a large portion of the fins at the top need to be milled off. With a 4-link rear suspension it is going to depend on the geometry of the 4-links. Definitely bump the rear suspension through its full range of travel, with the springs removed. If you don't and the fins hit the spare tire well, very bad things will happen. That's surprising, as it's marketed at fitting the 86 and up Mustangs. I'll take a closer look at to see if it will clear. I sure like the looks of the aluminum cover over the rusted factory cover. 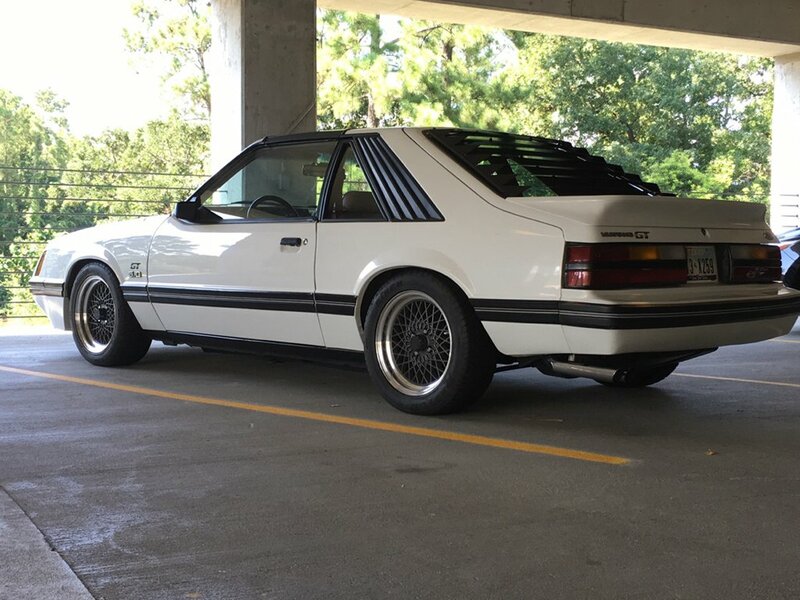 Ford Performance, who makes the cover, does not market it for 1986 and up Mustangs. Companies who sell the cover can say anything they want about. It fits on a 8.8" axle housing, it must therefore work on a 1986 and up Mustang. Not! Well, a little work with a saw and file on the top fins, it looks like it will now clear fine. Too bad it's so cold that the RTV hasn't setup yet on the cover, I'll have to wait on filling it up. I'm in the process of putting an 8.8" in my 85 GT. I've read some information in the Mustang Performance Handbook 2 about drilling new mounting holes in the lower brackets for the lower control arms to help the anti-squat. Since I'm in the position to do this, was thinking about doing this. I vaguely recall this particular mod to the rear control arm pickup points going out of favor because it negatively effected roll steering/roll couple ("roll oversteer"), basically making the car unstable in turns and corner exit. It is directly coupled with ride height. If the angle of the RLCAs is level in the side view at ride height, you are not likely to have much roll oversteer. The more uphill the RLCAs are (chassis end higher), the more oversteer the car will have. Lowering the car from stock ride height makes the RLCAs point downhill, so even with some height correct, there generally won't be a problem with roll oversteer. Yeah, I can attest to that. I have another car with a 4 link that's lowered, It had issues going down the road straight, put on a set of the relocation brackets, fixed the rear steer issue. I guess that's another reason I went ahead and drilled the holes. I love the look of that cover and have no issues with it that I’ve noticed on my car, which sits lower than I planned. Thanks for the confirmation, Sweet Foxbody, like the mesh wheels!